This is one of the first concepts we teach to our martial arts students; If you carry yourself like a victim, you are much more likely to be picked on. We teach some basic techniques about how to carry one’s self, look people in the eyes, and be in control of the situation. Many people mistakenly associate the Martial Arts with the act of “Fighting”. However Martial Arts is not about fighting, Martial Arts is about developing CONFIDENCE. When a child knows how to defend themselves, both verbally and physically, the result is increased confidence which usually helps avoid both verbal and physical confrontations. Martial Arts Kids don’t become Victims. 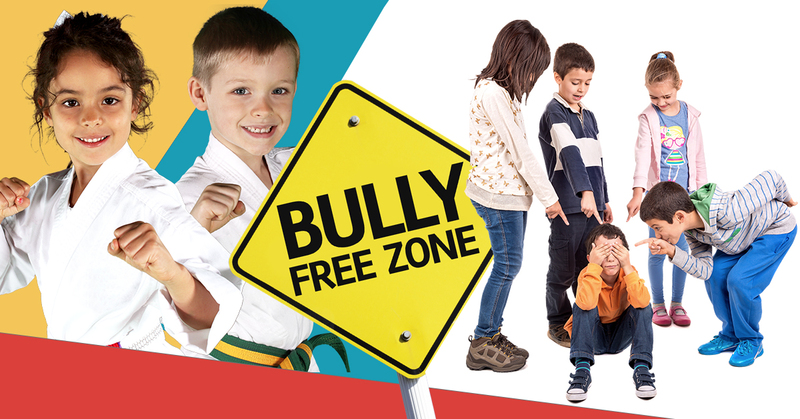 If a child is not confident about defusing a bullying situation, the bully will sense this and possibly continue. Without Confidence, these strategies may be more difficult to apply. A the end of the article I’ll post info about our Children's Martial Arts Progam and I will include a link below for a special offer just for reading this article, I know your time is precious, but so is our children’s safety. I hope you found this article informative! Hopefully it will give you the ability to evaluate your child’s overall confidence, self-esteem and verbal skills. If you detect that they may need some help in one of these areas, I would like to invite you to please check out our Back to School Special. It will be a great way for your child to make some friends and participate in a real martial arts class. We would love to meet you and your child and personally help them kickstart the school year with confidence, focus, and ninja skills!